Illuminating Boise with fragrant, flickering light. Founded in 2012, Lit & Co. Candles offers unique, handcrafted 100% soy candles in a variety of fragrances that are meant to compliment your home and tickle your senses. Benefits of soy include a cleaner, slower burn that lasts longer than its competitor, paraffin. And the best part is, that it is a naturally renewable resource. Better for you and for the environment. 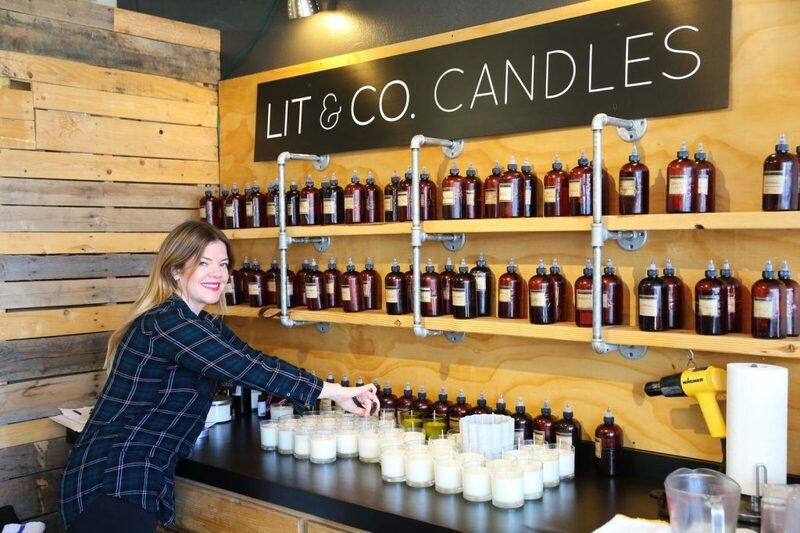 Located on the Northwest end of Boise (3019 W. State Street), Lit & Co. Candles is more than a quaint and fabulous smelling fragrance bar, it’s also a place to gather and create. Jackson recently expanded into the space next door to add a party room where groups from eight to fifty (or more) can hold candle making parties for events like bridal showers, bachelorette parties, birthdays, fundraisers, or maybe mom’s night out. With the option to bring food, drink, and the promise of lots of fun, it’s no wonder the room is booking so quickly. Available worldwide, Kristen ships to customers as well as wholesale and private label clients around the country and internationally as far as Australia. She has many innovative scents such as red current, freesia, bergamot, laundry, and lavender—only a few among over 70 scents currently available. 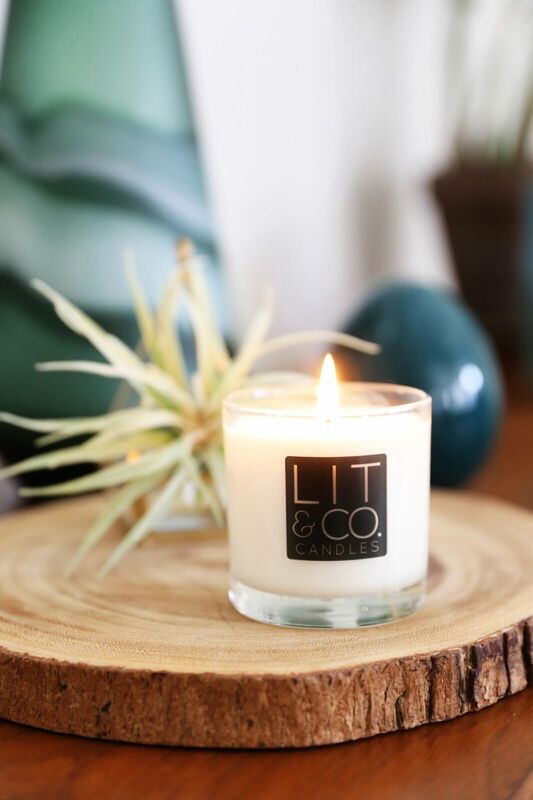 Packaged in clean and simple jars, they complement any décor, adding a warm glow and scent to your space. Custom scents and labeling is also available. She is excited to be providing corporate clients like Ethan Allen, here in Boise, with a custom scent and packaging. But everyone is welcome to come in and blend their own signature scent. It’s simple—just pick up to three scents to blend, add to the wax, pour into your choice of container, decorate the label for your creation and leave the candle in shop to sit for up to three hours (or more). Can’t make it back that day? No problem; they can hold your candles for another day and can even ship if needed. 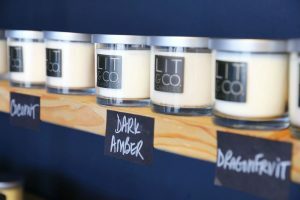 In addition to candles, Lit & Co. also offers room spray, soy wax tarts, and a bath and a body line including bath bombs and soaps.